Toto from The Wizard of Oz ranks as one of the most famous, fictional dogs. But few people know that the dog was a Cairns Terrier. Cairn Terrier puppies are one of the oldest, terrier breeds. 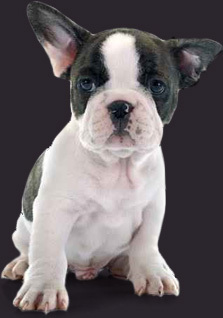 A small, compact dog, they grow on average from 11″ to 12″ (28 to 30cm) tall and will weigh between 14 and 16 pounds (6 and 7 kg). Cairn Terrier puppies come in a variety of colours including cream, wheaten, light or dark red, grey, nearly black. They have a coarse waterproof coat which only needs grooming once or twice a week, however, they will need to be hand stripped a couple of times a year. A highly adaptable dog, Cairn Terriers can live in any environment but would be happier in a safe, secure garden. Like many terriers, Cairn Terrier puppies love to burrow, making them expert escape artists so you need secure garden fencing. Having been long used as a working dog, Cairn Terrier puppies like an active lifestyle, so require regular and sometimes lengthy walks. Cairns are renowned for their bravery and will chase any small animal that moves, so need consistent training from an early age to keep their instincts in check. 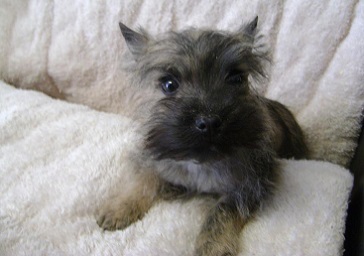 Cairn Terrier puppies make excellent family pets and will want to be involved in any family activities. They tend to get along well with children but will not tolerate being teased or mistreated. 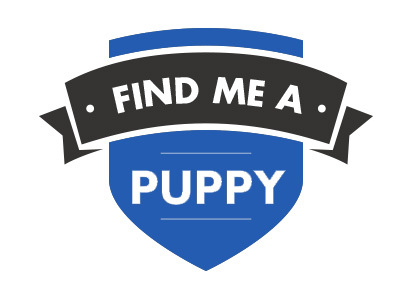 All Dogs4Us Cairn Terrier puppies come with a six month guarantee and are temporary vaccinated, wormed and microchipped for identification. 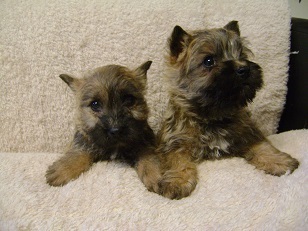 Please call us prior to visiting should you be interested in buying a Cairn Terrier puppy, so we can check availability. To find out more about Dogs4 Us Cairn Terriers and to check availability contact us at Dogs4Us. Take a look at some of the Dogs4Us Cairn Terrier in their forever homes and don't forget to upload your Dogs4Us Cairn Terrier snaps to join our family galleries.